Most Bollywood movies have always been written by an ink, dipped in love and romance. Love and romance is a subject which quips the heart of the people of all ages. Gradually, Bollywood movies are redefining the precincts of love and romance with quirky twists in their tales. It can be said that they have moved out or above the line in their storyline and it is proving better for the audience. There are movies which prove the mettle of their film directors. Through these movies, they try to create something new for the audience, and it strikes the right chord of the audiences. 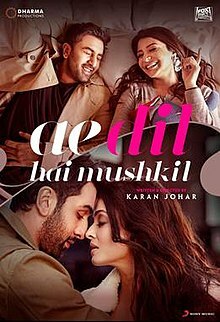 Ae Dil Hai Mushkil: Karan Johar’s take on romance is quite different in Ae Dil Hai Mushkil compared to his previous movies. The storyline is contemporary and progressive, and in the lead are Ranbir Kapoor, Anushka Sharma, Fawad Khan and Aishwarya Rai. Ranbir and Anushka meet at a club, and they settle down as best friends. Both have their own love life, but something’s not right in their respective relationships and both decide to move out of those relationships. An unusual take in the movie, Ranbir and Anushka decide to celebrate their break up and head for Paris together. Eventually, Ranbir develops an unrequited love for Anushka. From there, the movie is a heartfelt view of what happens in a one-sided love story. Love Aaj Kal: The movie, Love Aaj Kal directed by Imtiaz Ali has tried to tell the audience the difference of love and relationships in the past and in the current scenario. The film features Saif Ali Khan, Deepika Padukone and Rishi Kapoor in the lead. Barfi: An unusual story of love and sacrifice where the lover sets her lover free for the sake of his happiness. Barfi is played by Ranbir Kapoor, Shruti by Ileana and Jhilmil by Priyanka Chopra and all have justified their roles in their respective character. 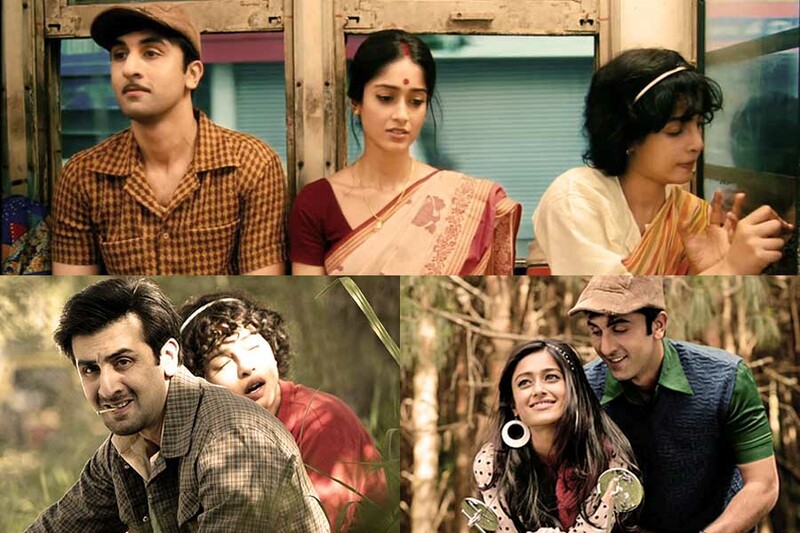 The direction of Anurag Basu has given a twist to the romantic tale of Barfi. Silvat: Silvat is a movie of an intense romance and the powerful acting of the two characters, Kartik Aaryan and Meher Mistry in the character of Anwar & Noor. It glues the audience to the narrative and stirs unsaid emotions. The director, Tanuja Chandra’s attempt, is very decent, clean and powerful. The idea of romance in Silvat is unlike the romance we see today. Click here to see how the plot takes the audience back to 90’s where emotions were heartfelt but mostly unspoken. In most part of the movie, Anwar and Noor’s attention is glued to each other, and with just that attention, Noor never feels the absence of her husband who had moved abroad just after their marriage. Silvat means a temporary crease and the unexpressed love of Anwar and Noor justifies the title. So, basically, Bollywood movies are moving to a new direction to create something different, redefining the concept of love and romance and that is a welcome sign for the audience. Love Aaj kal is a definitely good movie. However, I didn't like it much the first time I swa it but gradually it gained my interest. Thanks Geethica for stopping by. Previous page Previous post: 7 Important Conversations Before Getting Hitched!